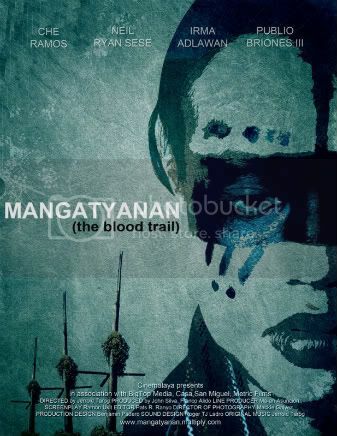 MANGATYANAN will have a one-week run at Robinson’s Galleria in EDSA Blvd, Metro Manila on Wednesday, September 16, 2009 to September 22, 2009. Show starts every 12:00 noon. This movie was created by Jerrold Tarog, the same guy who did the Confessional. Confessional was really good, i hope this one has the same quality, although it got good reviews from those who already watched it, especially from the movie critics.